ZA-Freelancer (PTY) LTD provides an online platform for freelancers to offer services to the South African and African market. The freelancing industry is one of the fastest growing business sectors of the economy, and ZA-Freelancer intends to capitalize on the success of this industry by providing a niche communication platform between freelancers and their clients. In this respect, ZA-Freelancer shall allow Freelancers to market their services with minimal effort as well as be able to easily promote their services to their client Clients to seek for a service of their choice and be able to book a specific service Clients to compare between different offers and be able to decide on the offer and expertise that best suits their needs. Freelancers and clients to agree on the method, rate as well as the time of delivery of the specified service. ZA-Freelancer intends to Launch officially on 01/02/2015 Use direct email marketing to the Freelancer database that has been created Create marketing campaigns in Universities, colleges as well as Shopping malls. Improve functionality and look of interface regularly. Expand into 5 Countries annually. Mission Statement The mission of ZA-Freelancer is to provide a niche platform for freelancers to meet their clientele at minimal cost. 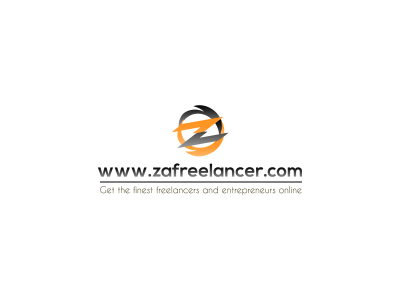 ZA-Freelancer is dedicated to building long-term relationships with customers through a high quality technology centric product and customer support Author: tendayi mawoko from zafreelancer. More Info link: http://www.zafreelancer.co.za Twitter: https://twitter.com/za_freelancer Facebook: https://facebook.com/zafreelancer Images: For high res version/s of One image/s please contact: zafreelancer. CLICK HERE to submit your press release to MyPR.co.za. . . . There is a huge shift occurring in the world of buying and selling. Customers and prospects have been practicing ‘connected buying’ for years, but too many salespeople, at too many companies, are failing to use the same strategies and resources that buyers have become experts in. But how can getting connected change the way you sell and what does ‘connected selling’ even look like? Today everything is connected. There are 4,5 billion social connections alone on Facebook, Twitter and LinkedIN. By 2017 there will be 5 billion smart phones and 50 billion connected products. “This is what we call the Internet of customers, which was made possible by the cloud,” says Quinton Pienaar, CEO of Agilitude, a Salesforce.com reseller. What this means for sales is that customers have changed. They don’t want to be cold called, they do research before they contact vendors and they are having conversations that don’t include sales people. The brute-force approach to selling – battering away at the customer’s defenses until they crumble – may have worked in the past, but it doesn’t work anymore. Pienaar says that in South Africa there are too many companies that are stuck in the past or aptly ‘disconnected’: “These people struggle to fill their pipelines and don’t have effective lead management, the lead quality is poor and it lacks insight from social media. According to Salesforce.com, 79% of marketing leads are not pursued and sales people waste a significant amount of time and effort on fruitless searches. An estimated 68% of sales reps spend time on everything but selling. Most often, 30% of their time is searching for the data they need and never find.” At the end of the day, Pienaar says that these sales people do not know to whom they are selling or who the key decision makers are? Often prospects know more about the sales person, than they know about their prospects. This leads to 60% of deals forecast incorrectly and the use of the wrong systems. On premise . . . Wits University, together with the Joburg Centre for Software Engineering (JCSE) has received official endorsement from the Human Resource Development Council (HRDC) for the further development of the Tshimologong Precinct. This innovative new-age software skills development and innovation hub is in Joburg’s inner city and is being developed by the JCSE and Wits University. 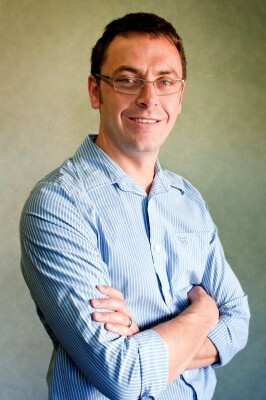 Professor Barry Dwolatzky, director of the JCSE and founder of the Tshimologong Precinct says that the HRDC will endorse and broker financial and other support from both the public and private sector in support of the strategy presented by Wits University and the JCSE: “The council’s support will enable the JCSE to fast track the establishment of the technology hub in Braamfontein, which will build on skills development, entrepreneurship and youth employment.” Dwolatzky says of significance is not only the endorsement from the HRDC, but the subsequent creation of an international Business Innovation Zone network (BIZ-Net), which includes partnerships between Wits University (South Africa), Ryerson University (Canada) and Zone Start-ups (India). This approach will grow a network of local and national hubs to support start-ups, entrepreneurship and skills development across South Africa. “BIZ-Net will support the establishment of new SMMEs, which will make a direct contribution to meeting South Africa’s three most serious challenges: poverty, inequality and unemployment, particularly youth unemployment,” says Dwolatzky. Partnering with Canada’s Ryerson University enables Wits to build upon five years of experience operating a globally ranked business incubator. The Tshimologong Precinct is strongly inspired by the Ryerson’s model in Toronto. It is being established in Juta Street Braamfontein and will be run on a sustainable business model, which will be accessible to all levels from a car-guard to a PhD researcher. Prof Adam Habib: Vice chancellor, Wits University says that the . . .
• Turnover increased 38% to R261 million (2013: 190 million) • Operating profit increased 85% to R38 million (2013: R21 million) • Headline earnings per share up 35% to 18,6 cents (2013: 13,7 cents) JSE-listed Adapt IT, a provider of specialised software solutions and services to the Education, Manufacturing, Energy and Financial Services sectors, today announced its interim results for the six months ended 31 December 2014. 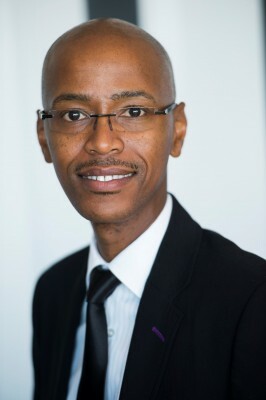 “In line with our strategic expansion plan, our strong organic growth in tandem with strategic acquisitions have yielded continued positive results for Adapt IT,” says Adapt IT CEO, Sbu Shabalala. Turnover for the year increased 38% to R261 million aided by positive contributions emanating from the existing divisions’ organic growth of 11% and acquisitive growth contributing 27%. Profit increased 85% to R38 million contributing to operating profit margin improvement to 14,5% from 10,8% of the last financial year, with headline earnings per share increasing in-line to 36%. On 1 September 2014, Adapt IT acquired AspiviaUnison (“AU”), a cloud-based enterprise and carrier communications management software-as-a-service (SaaS) solutions business, which has contributed positively to the financial services and manufacturing segments of Adapt IT. The AU acquisition was in-line with Adapt IT’s strategy of acquiring strategic software companies that improve the company’s competitiveness within the sectors wherein it operates, being Manufacturing and Financial Services, in AU’s instance. Black Economic Transformation remains a strategic imperative for the group. As part of its acquisition funding, Adapt IT raised R41,8m equity and enhanced its black ownership equity status by 4,7% and specifically its broad-based black female ownership equity status by 2,82%. Further: A strategic investment was made through the acquisition of a 49% interest in Uyandiswa Project Management Services, a black woman-owned project management consultancy, in an . . .
ASUS, “The Choice of Champions” chooses Syntech “ASUS South Africa is pleased to announce a new partnership with Syntech. 2015 is a big year for ASUS with 500 million motherboards sold to date. We look forward to selling 500 Million more with the help of brilliant partners like Syntech” Syntech will be stocking the entire ASUS range but are initially launching with the ASUS Motherboard and VGA Card range of products. 7 Good reasons why this is such exciting news: • Syntech has established themselves as one of the leading Distributors in South Africa committed to adding value to the market and empowering its resellers. • Syntech works closely with their key-resellers to deliver added value and support to clients with the best available range of products • Syntech provides exceptional marketing support including free web content, POS material and digital banner design for customers. • The exclusive “Syntech Warranty” and technical support structure offers end users and resellers peace of mind and after sales service. • Syntech now delivers a premium turnkey component solution which incorporates industry leading brands like Crucial, Seasonic, Raidmax, Patriot and OCZ • Syntech’s revolutionary approach to distribution enables them to deliver thousands of products throughout Southern Africa daily • Most importantly - Stock availability, Syntech’s procurement and logistics team help ensure that their resellers have consistent access to the stock that they actually want. ASUS is the number one manufacturer of motherboards in the world, commanding almost a 40% market share of the motherboard business. Over 420 million motherboards have been sold since 1989. Today, one in every three computers houses an ASUS motherboard. ASUS has been voted the world’s “Best Motherboard Brand” for six consecutive years by readers of Tom's Hardware Guide (THG), a widely-read and respected hardware review website. ASUS constantly push the boundaries of innovation, resulting in . . .
Syntech appointed as official distributor for TOTOLINK Networking products. TOTOLINK, Korea’s leading provider of wireless and networking solutions is now available in South Africa. The range of networking equipment designed to deliver the latest technology at competitive price points includes Wireless routers, Wireless USB adapters, Wireless PCI-E Adapter and Switches. “We conducted a lot of research and product testing before deciding to partner with TOTOLINK. The brand fills a gap in our product that many resellers had been asking for, we confident that TOTOLINK will empower our customers to deliver even more value to their clients.” Says Ryan Martyn, co-founder of Syntech. TOTOLINK Networking products are aimed at solving the network requirements of small office and home users. Their simple interface and robust product design make the equipment easy to set up for almost every user. Syntech started stocking the range in January and has reported high demand and favourable customer reviews. Networking equipment has started advancing and embracing new technology, this is important because it plays such an integral part of today’s digital lifestyle. TOTOLINK’s range includes high speed Wi-Fi Routers that support the latest range of mobile devices including tablets and smartphones. Another Innovative product from TOTOLINK is the power line adapter kit, which makes use of existing electrical circuits to create a local network by simply plugging the adapters into a standard wall socket. Syntech Overview: Syntech was established in 2002. Our product ranges are sourced from a variety of international manufacturers. We distribute a number of top brands and distribute an extensive range of computer related products throughout sub-Saharan Africa. Our objective is to create solutions. We have developed our product range by offering these complete solutions with several focused products that cater for individual reseller requirements. Our solid relationships with our suppliers ensure that we deliver products which have been developed . . .
JOHANNESBURG, South Africa – January 28 2015 – Samsung Electronics Co., Ltd. will be launched a range of new audio products at the 2015 International Consumer Electronics Show, including the WAM7500/6500 and an expanded line-up of Curved Soundbars. WAM7500/6500 is a new concept for Samsung providing a rich-bodied sound experience no matter where you are in relation to the product. Unlike conventional speakers that project sound in a single direction, the WAM7500/6500 fills entire rooms with sound. This breakthrough in approach to audio came through the utilisation of proprietary ‘Ring Radiator’ technology, which allows sound to flow in a 360-degree radius, with the perfect balance between treble and bass. 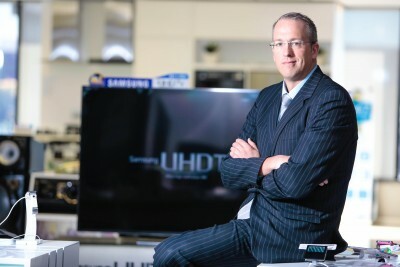 “We know how much people love music and that’s why we are expanding our portfolio to bring high-quality, wireless audio into the home,” said Ansgar Pabst, Business Lead for TV/AV at Samsung SA. “With the new WAM7500/6500 people can enjoy a vibrant sound wherever they are, while our new Curved Soundbars perfectly complement the TV viewing experience.” WAM7500/6500 was in part developed at Samsung’s new state-of-the-art audio lab in Valencia, California and uses premium materials across the exterior of the speakers, allowing it to stylishly blend in with any home décor. It will be released in two models; Stand-type(WAM7500) and Movable-type(WAM6500). Stand-type offers a stylish build paired with premium sound quality. Movable-type comes with a built-in battery so listeners can enjoy the best sound quality available whether they are at home or out and about. Both models seamlessly connect to TVs, Soundbars and mobile devices. Samsung also plans to unveil the world’s first TV matching Curved Soundbar line-up, which has been expanded since its introduction in mid-2014. In addition to the 7500 series, Samsung will release the 8500, 6500 and 6000 series, extending the range to a total of four that optimally match Samsung’s Curved TVs of various . . .
JSE listed Adapt IT Holdings, a provider of specialised turnkey IT solutions and services to the Education, Mining & Manufacturing, Energy and Financial Services sectors was appointed by Nike to implement an optimised and automated Business Intelligence (BI) solution in order to streamline data and business reporting capabilities. Upon its completion, the project successfully reduced manual workload, while providing a swift and accurate overview of strategic data across Nike’s various business functions. As the demand for a more effective and timeous overview of business data continues to grow across all major enterprises, the successful implementation of the Nike Gross to Net Business Analytics project met Nike’s requirements for a full information view from Gross Futures Bookings to the achieved Net revenue. Nike, as one of the world’s most recognised brands, employs more than 44,000 people worldwide, and as a leading wholesaler of footwear, apparel, equipment, and accessories, it continues to be extremely popular among South African consumers. Prior to the implementation of the project, creating a Gross to Net (G2N) view required different data sources to be combined, often resulting in a substantial manual workload. Explains Oliver Karst, BI Analyst at Nike: “We needed a database that combined all the required source information and provided the business with reporting and dash boarding capabilities. 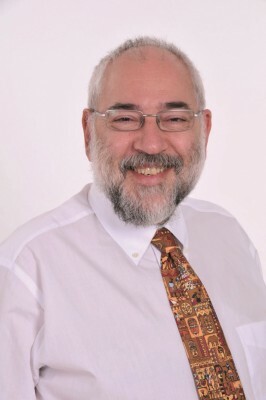 Now, with advanced capabilities, we are able to reduce workload in the creation of the required report, which can be used for advanced analysis of the business.” One major advantage of the Nike Gross to Net system, in addition to streamlining the reporting process, is that information is readily available at any time and at any required detail. “Previously reports had to be run out of multiple sources from Teradata and Business Warehouse. Those reports were then used in the creation of manual reports which was very time consuming and dependent on . . .
CTEX TO SHOWCASE M-net Magic in Motion Academy M-net Magic in Motion Academy When : From: Fri, 30 January 2015 09:00 To: Sat, 31 January 2015 15:00 Where : Cape Town International Convention Centre 1 Lower Long Street, Cape Town FOR IMMEDIATE RELEASE Event Details CTEX EXHIBITIONS TO SHOWCASE M-net Magic in Motion Academy at WorldSkills SA M-Net has given back to communities across the country for 29 years, supporting a diverse range of social causes. Launched at the beginning of 2014, M-Net Magic in Motion is the company’s Corporate Social Investment (CSI) Vehicle focused on attracting, developing and retaining dynamic young South Africans in the Film and TV Sector. The initiative seeks to inform, educate and expose tertiary students to the range of careers in Film and Television. In March 2015, the pioneer M-Net Magic in Motion Academy will officially begin for 12 historically disadvantaged individuals, who are recent film and TV Graduates. The students will be afforded the opportunity to participate in a 12- month internship including attending development seminars and gaining valuable “hands-on” experience in the Industry. Established as an accelerated work-readiness initiative, The M-Net Magic in Motion Academy affords these individuals the opportunity to work on their first ever commissioned production. M-Net Magic in Motion is a proud sponsor of renowned career and training exhibition hosts, CTEX, which is the largest student and career exhibition in the Western Cape. This year, CTEX has joined forces with WorldSkills, an international skills player. This type of outreach, engagement and collaboration is a hallmark of the M-NET Net Magic in Motion initiative and is the main reason why its tagline aptly reads, “Partnering for Good” M-Net looks forward to meeting you at the exhibition as we continue to partner for good. Join us at our stand, on Friday 30th January 2015 or Saturday 31st January 2014 at The Cape Town . . .
JOHANNESBURG, South Africa – January 23, 2015 – Samsung Electronics South Africa launched a range of new audio products at the 2015 International Consumer Electronics Show, including the WAM7500/6500 and an expanded line-up of Curved Soundbars. WAM7500/6500 is a new concept for Samsung providing a rich-bodied sound experience no matter where you are in relation to the product. Unlike conventional speakers that project sound in a single direction, the WAM7500/6500 fills entire rooms with sound. This breakthrough in approach to audio came through the utilisation of proprietary ‘Ring Radiator’ technology, which allows sound to flow in a 360-degree radius, with the perfect balance between treble and bass. “We know how much people love music and that’s why we are expanding our portfolio to bring high-quality, wireless audio into the home,” said Ansgar Pabst, Business Lead for TV/AV at Samsung SA. “With the new WAM7500/6500 people can enjoy a vibrant sound wherever they are, while our new Curved Soundbars perfectly complement the TV viewing experience.” WAM7500/6500 was in part developed at Samsung’s new state-of-the-art audio lab in Valencia, California and uses premium materials across the exterior of the speakers, allowing it to stylishly blend in with any home décor. It will be released in two models; Stand-type(WAM7500) and Movable-type(WAM6500). Stand-type offers a stylish build paired with premium sound quality. Movable-type comes with a built-in battery so listeners can enjoy the best sound quality available whether they are at home or out and about. Both models seamlessly connect to TVs, Soundbars and mobile devices. Samsung also plans to unveil the world’s first TV matching Curved Soundbar line-up, which has been expanded since its introduction in mid-2014. In addition to the 7500 series, Samsung will release the 8500, 6500 and 6000 series, extending the range to a total of four that optimally match Samsung’s Curved TVs of various sizes?from . . .